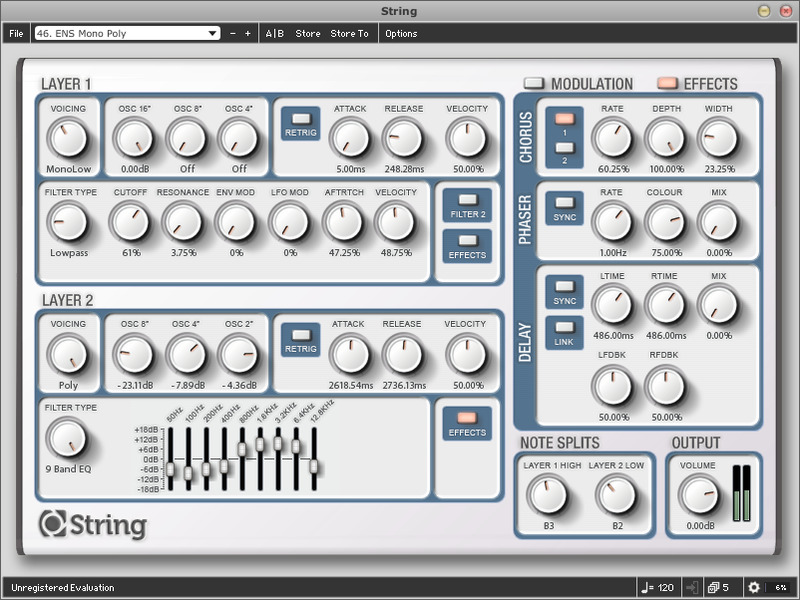 String, Virtual subtractive synth from Loomer. Loomer has updated String for Mac OS X, Windows, and Linux to version 1.3.0. Native 64-bit VST plug-in for Mac OS X (64-bit VST support requires Mac OS X 10.6 or greater; 64-bit Audio Unit requires Mac OS X 10.5 or greater; all other formats require Mac OS X 10.4 or greater). Clearer font in PDF documentation. Orion 8.5 Public Beta Synapse Audio has announced that the upcoming version 8.5 of Orion is now available as a preliminary Public Beta version to all registered Orion owners. Detunized La Ramona Piano Strings La Ramona Piano Strings reassembles the Vermona String Piano. Sampletekk ST Pianet SampleTekk has announced the release of ST Pianet, a 70′s electric piano for Native Instruments Kontakt.